Jason was born and raised on the family estate. In his youth, his time was split between helping his father care for the vineyard and running around the vines throwing dirt clods and chasing jack rabbits. As he grew older, however, Jason learned from his father the key principles of fine grape growing: Hard work, Passion and Perseverance. In launching Mikami Vineyards wine, one of Jason’s primary goals is to produce a wine that embodies those principles. A high-tech veteran, Jason has been a part of a number of groundbreaking technology services. In the late 90’s, Jason helped enable 7 million households with Interactive Television, giving people the ability to look up news and sports scores, and to shop via their TV remote control. In addition, he was instrumental in deploying a mobile television service to over 5 million people in the United States, Canada, and the UK. More recently, Jason managed the global operations for cloud computing leader SugarSync. Winemaker Kian Tavakoli brings to Mikami Vineyards tremendous knowledge and experience having been part of two of Napa Valley’s most prestigious wineries: Opus One and Clos du Val. Kian began his appreciation of wine at an early age as the son of restaurateurs. 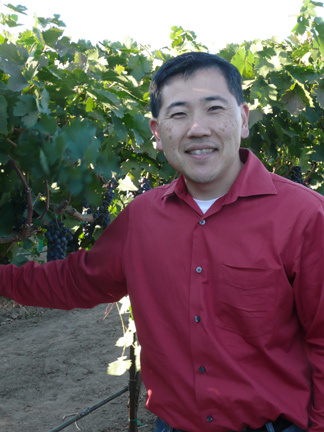 A graduate of the University of California, Davis, Kian continued to develop his passion for wine, studying viticulture and genetics – both valuable assets to his winemaking. As the enologist for Opus One, Kian developed his ability to produce well-balanced, elegant wines. For nearly a decade at Clos du Val, Kian directed the winery’s Cabernet Sauvignon efforts, including their highly acclaimed Napa Valley Reserve bottling. At Mikami Vineyards, Kian’s focus is to develop hand-crafted, small-lot Zinfandel wines that are intense and powerful, yet structured with extravagantly rich fruit. With a family legacy in grape growing dating back to 1906, Mike Manna is a 3rd generation viticulturalist. 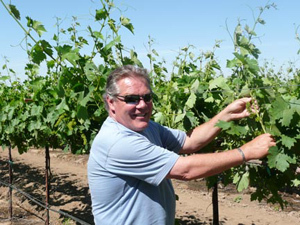 Managing over 2,000 acres, he is one of the preeminent grape growers in the Lodi American Viticultural Area (AVA) and has extensive knowledge of the territory. Known for meticulously managing his vineyards, Mike understands intimately the terroir of Mikami Vineyards. At Mikami Vineyards, Mike takes advantage of the estate’s alluvial soil to develop deep-rooting grapevines and employs 4 ft. vine spacing to foster competition among the vines. This is done to stress the vines to produce lower yields and to reduce berry sizes – both leading to more intense and concentrated wines. 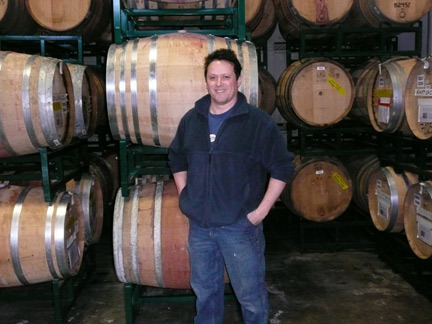 As a Commissioner on the Lodi-Woodbridge Wine Commission (responsible for development and expansion of the Lodi wine industry), Mike is a leader in Sustainable Winegrowing, using viticulture practices at Mikami Vineyards that are environmentally sound and responsible to the needs and interests of the community.